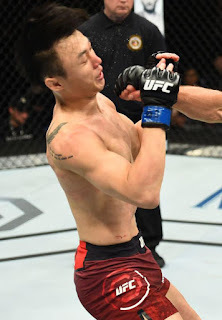 Saturday fight at UFC Fight Night 124, fight fans witnessed a promotional setback for the UFC, as Doo Ho Choi was battered in the main event, and Paige VanZant suffered a defeat in the co-main. The result was two prospects falling to opponents that the company would have preferred they prevail over. But in many ways, this typifies the UFC's continuing struggle to develop prospects into stars, as they are consistently thrown into high stakes positions by the promotion, well before these fighters are ready. In under two rounds perennial contender Jeremy Stephens violently stopped Choi, his second such defeat in as many fights. Choi looked good in moments but quickly caved under the pressure that Stephens brings every time he steps into the Octagon. Now, the South Korean heads into mandatory military service with major questions surrounding his standing in the featherweight division. This bout clearly exposed some holes in the game of a young fighter that the UFC was hoping to develop into a star both in his home country and the United States. Paige VanZant needed more time than Choi to fail, but fail she did, as she dropped a decision to Jessica-Rose Clark. This was her second defeat in a row, and third in her last four fights. Regardless of what the UFC and FS1 broadcasters say about her “grit,” the truth remains that VanZant isn’t blossoming into the high-level competitor she was expected to become. The UFC needs to look at these outcomes and learn from them, particularly lessons with regard to practical booking. Choi was coming off of a war against Cub Swanson at UFC 206. Throwing him back in there against a striker of Stephens’ caliber put him at risk of suffering exactly what occurred. Yes, the UFC is looking to make him into a star by matching him with fighters who have a style tailored for excitement. But booking him against a less dangerous opponent would not only have given him a chance to develop his skill set, but it would have afforded him the opportunity to reestablish a foundation of success to build upon. VanZant is in a similarly damaged state. Debuting in a new division, she seemed to be ready to punch her ticket to the women's flyweight title race. But now, the UFC has to figure out how to reestablish her brand among fans that aren’t as enamored with her as they once were. The organization now needs to change gears with its promotional strategy for her: from the fast track to a possible title shot to the slower and quieter road to redemption. On the other side of the coin from Choi and VanZant An interesting caveat to this conversation is Kamaru Usman. 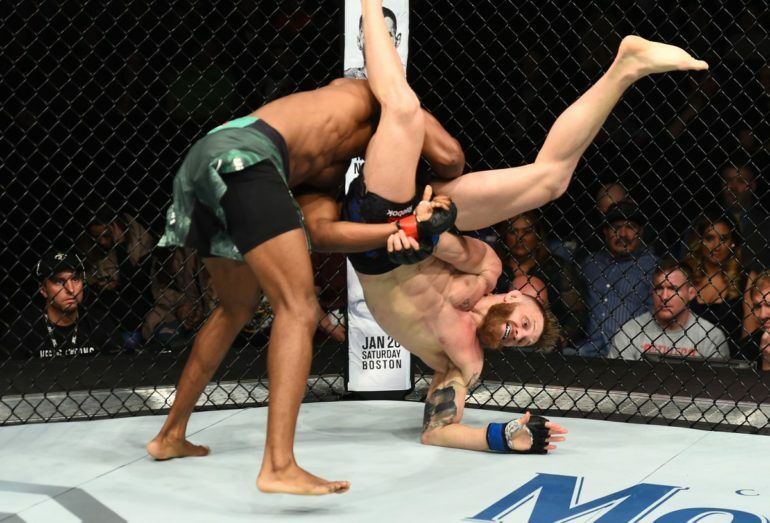 Usman defeated Emil Meek on Sunday night to push his win streak to seven straight. He’s drawing comparisons to Jon Fitch for his ability to negate his opponents' offense and control where fights occur. But like Fitch, UFC President Dana White chose to bury the Nigerian fighter rather than promote or speak him up as a potential threat to UFC Welterweight Champion Tyron Woodley. Usman is the kind of fighter that UFC matchmakers can place into high stakes bouts, but instead of doing so, White would prefer to degrade him and undercut his viability as a potential star. The UFC needs to take special care when to comes to booking and promoting the young and developing fighters on its roster. The future hinges on them being built up and developed into the athletes that fans want to see. While much of this is shouldered on their training and skills, the UFC plays a key role in promoting and booking the right fights to help them along before throwing them into the deep end. Hopefully the struggles of Choi and VanZant on Saturday make that case much more apparent. 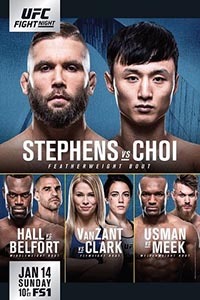 UFC Fight Night 124: Stephens vs. Choi took place January 14, 2018 at Scottrade Center in St. Louis, Missouri.